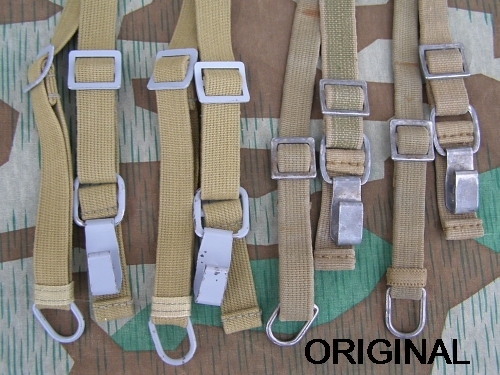 These were used on ALL fronts starting in 1941, but was mainly issued in tropical areas and manufactured & used until the end of the war. 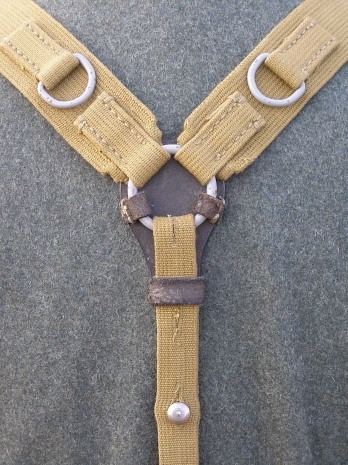 Made from web material and the webbing is woven on the same looms like the originals. 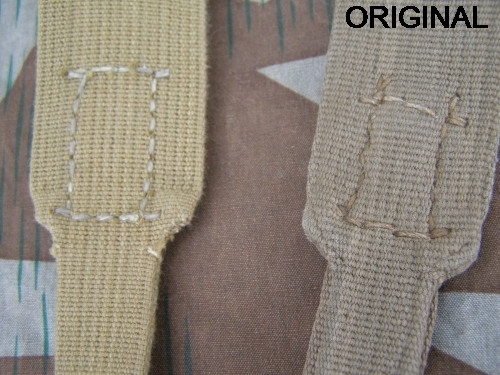 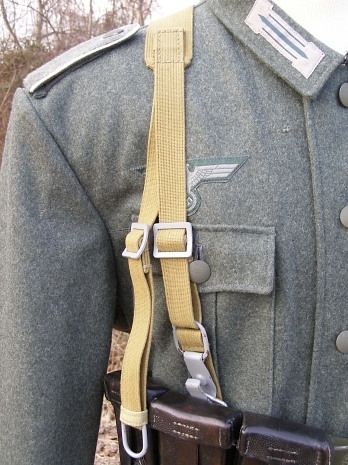 The main straps are not two piece, but one piece woven wide to narrow, just like the originals are. 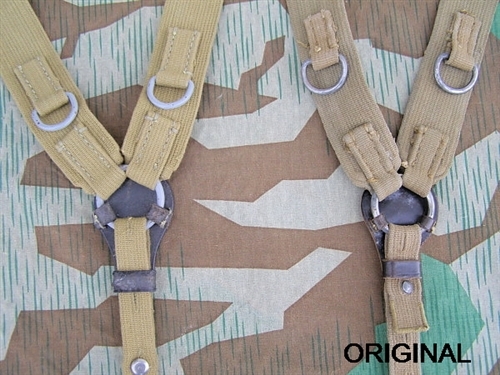 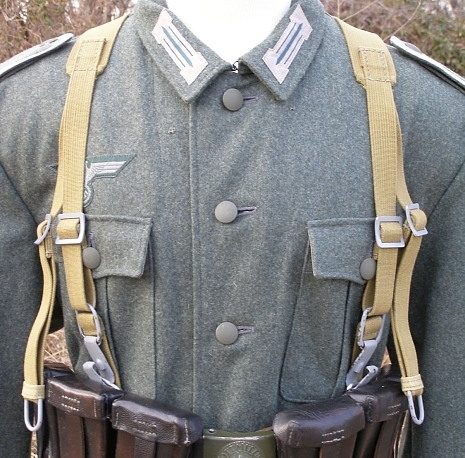 Comes with the correct steel fasteners, and with authentic reproduction hardware and D-rings. 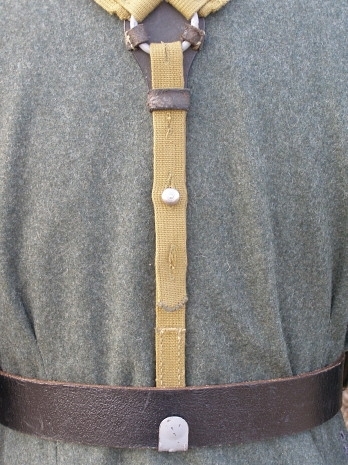 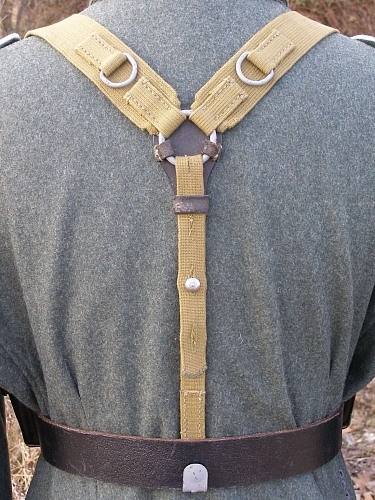 Has the auxiliary strap to hook to the lower part of the A-frame or Rucksack.